Although Adobe Flash ensures a speedy way to render graphics trough the Web, the wasting impact on laptop batteries is inevitable. Another disturbing case noted by many users is the appearance of Flash content on the edge of the pages. That is why expert teams from Google and Adobe have been working together to create an innovative option for the latest version of Google Chrome Beta that intelligently pauses content like Flash animations that are not essential to the webpage. Meanwhile, the central content currently playing will be loaded without interruption. In the meantime, if an important ad has been stopped, the user could easily resume it anytime simply by clicking on it. The main purpose of the new Google Chrome feature is to make the web browsing with Flash more power efficient, saving battery life on the device. 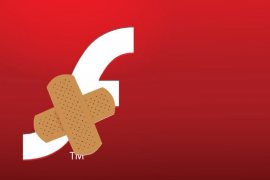 This Flash content ‘killer’ for now is enabled by default only on the desktop version of Google Chrome’s latest 44.x Beta. However, if the feature is needed, it could be enabled manually. 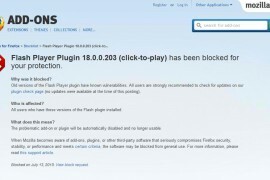 Note that it is available in the Settings panel, where the user should click on the Plugins section and then select Detect and run important plugin content and continue browsing for longer. The good news is that experts announced that the feature will gradually become part of all Chrome desktops.